The Society is happy to announce that prospective members can click below, print and complete the form and mail your Check or Money Order, payable to the “The Philatelic Society of Lancaster County” to Barbara Buchanan, PO Box 116, Conestoga, PA 17516-0116. 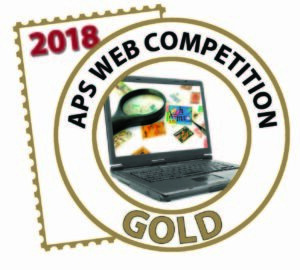 Monthly Full-Color, Award-Winning Newsletter: packed with a wide array of interesting topics on stamps and postal history. LANCOPEX: our Annual Two Day Stamp Show & Exhibition includes Invited Dealers, a U.S. Post Office Mail Station, Daily Show Cachets, Stamp & Postal History Exhibits, plus Members Exhibit FREE! Convenient Meeting Location (Landis Homes, Crossings Meeting Room, Lititz, PA). Meeting Dates/Times: The second Wednesday of the month (except Aug. & Dec.) at 7:00 PM (Door Opens at 6:30 PM). Dues are $10.00 per year. Junior (younger than 16) dues are $5.00 per year.